The Box screen displays the User Box and the System Box. 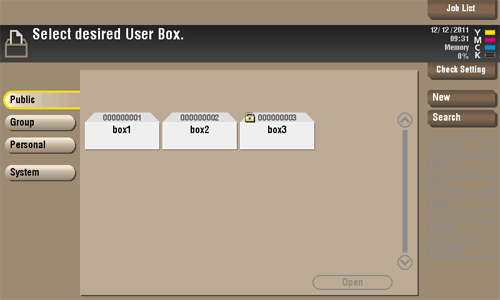 The user can store documents in the User Box. Also, the user can print a file from the User Box or send a file to another user. The System Box is used by the system to temporarily store files when the user uses the facsimile or print function together with the file storage function of the box. 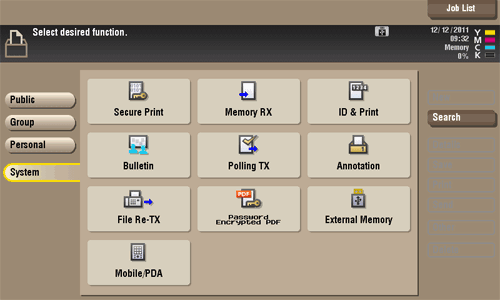 The user can operate files in the System Box when necessary.